The Focht ChamberSystem 2 (FCS2) is a closed system, live-cell micro-observation chamber, that offers several advantages over other chambers. 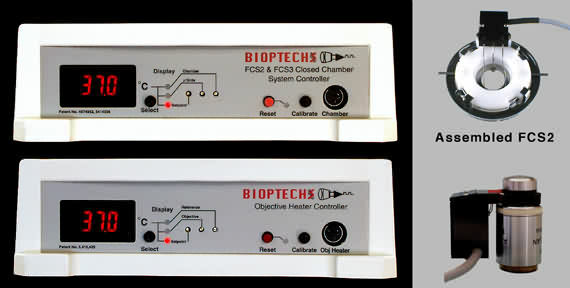 In addition to its unique perfusion and thermal control systems it is fully compatible with all modes of microscopy. It is also the only chamber to combine high volume laminar flow perfusion rates with Koehler illumination and precise temperature control without an air curtain.